The start of 2017 has seen some big changes. 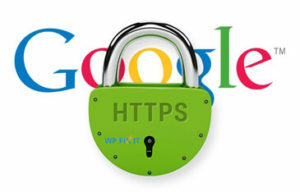 This is the year that Google is requiring websites to use SSL. This means your website will need to run through a security certificate to continue ranking and also to have the best results. Also Google will start lowering rankings of website that are not on HTTPS and Google chrome and Firefox web browsers will show non https as insecure. It is an easy solution. We can upgrade you to an SSL certificate for only $160 per site. There’s nothing for you to do, Just email us and let us know when to start. In the past few years, Google has been stressing to webmasters that security is important, and would be considering a ranking factor in their search engine algorithms. The most recent of updates with Google, has been suggesting on adding SSL to your website for your visitors to have a much safer experience surfing your website. What is SSL, and HTTP versus HTTPS? SSL is short for Secure Sockets Layer. It’s a nifty piece of technology that gives an encrypted link between the server that a website is on, and your browser. It’s what makes sites have a URL in the browser address bar have HTTPS, instead of HTTP. In return, this means all data passed between your browser and the website’s server is secure. In regular HTTP, everything seen through the browser, can be easily read by any hacker that happens to get into the connections between your browser and the website you’re surfing. This poses a big security risk because you could be exposing sensitive information, like credit cards, or personal information. With HTTPS, the data is encrypted, making it hard for hackers to decrypt, even if they had broken the connection between the browser and the website. For WordPress owners, you need to have a secure website. Having a secure website use to mean just making sure your website’s core WordPress installation, the theme, and all your plugins up-to-date. It also meant you needed to have a security plan in place that includes security plugin as well as hardening your website. However, now you also need SSL. SSL allows everyone, search engines and your visitors, to know that your site is safe and can be trusted. Your website visitors can trust your website more, because you’re ensuring a safe user experience, and that their sensitive information won’t be stolen. What are the requirements for SSL? To have SSL on your website, you have to have an SSL certificate. The SSL certificate contains information like domain name, company name, address, country, certificate’s expiration date, and details about the Certificate authority (the issuer of the certificate. ).